Rotax Grand Finals – Qualifying Day Updates – CKN | CanadianKartingNews.com | Because Karting is a way of Life! 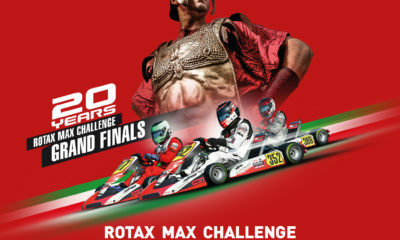 The intensity has been turned up in Brazil as the Rotax Max Challenge Grand Finals in officially in race mode. Wednesday features the first sessions where results do matter, with Qualifying and the first set of heat races hitting the track at the Paladino International Circuit. 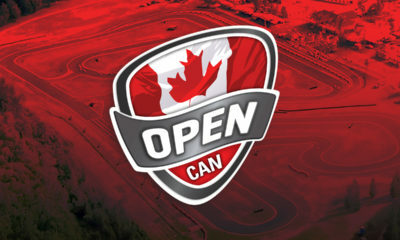 We’re here to keep you updated with the results of our Canadian and United States drivers, as well as the overall top-5 in each category. To follow live timing, click here. 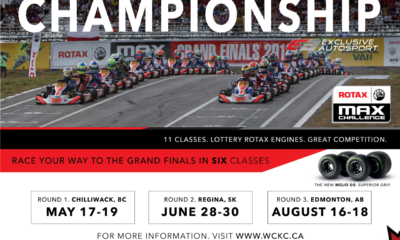 CKN RMCGF Daily Debrief – Qualifying Day! 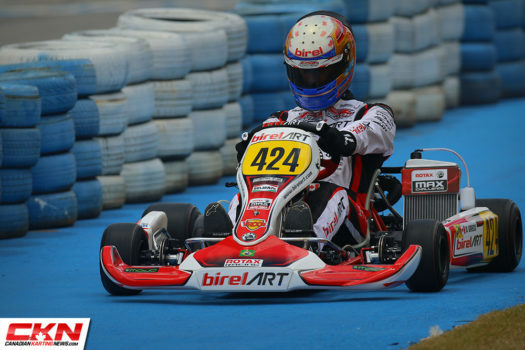 While our good friend Daniel Formal was able to drive away with the heat win, Davide Greco did a great job avoiding a big crash on the first lap in corner two to slip through into seventh and hold the position to the end of the heat. 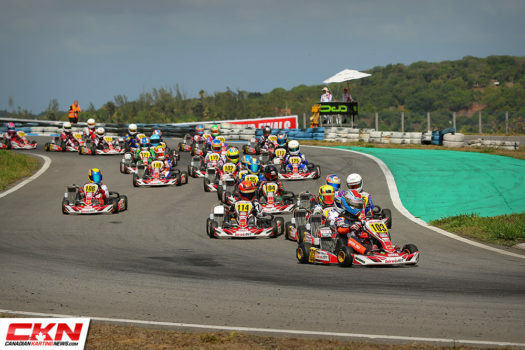 Tough luck for Coltin McCaughan, who had nowhere to go but into a kart stopped in the middle of the track as everyone scattered, ending his race abruptly. Choquer advanced five spots in a very aggressive heat race by the Seniors. After getting a great start and running well inside the top-ten, Townes Allen was under attack and began to lose positions before he was eventually pushed off track and into the outside wall of corner 7. He was able to continue, but well down the running order. After a 30-minute delay to sort out the grids for Junior, they finally got racing. Nepveu challenged Pope early for the lead before slipping back to third. As he was about to make a move to regain the position, second place bobbled and made contact with Nepveu and fourth place, allowing Nepveu to slip through and take second place. Leung and Mars both progressed forward with great pace. 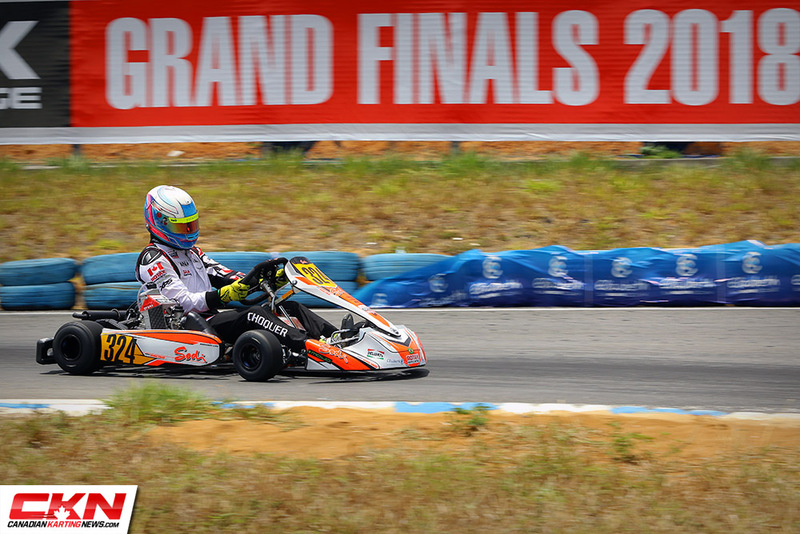 After showing good pace in practice, Etienne La Salle didn’t have the qualifying speed he wanted. 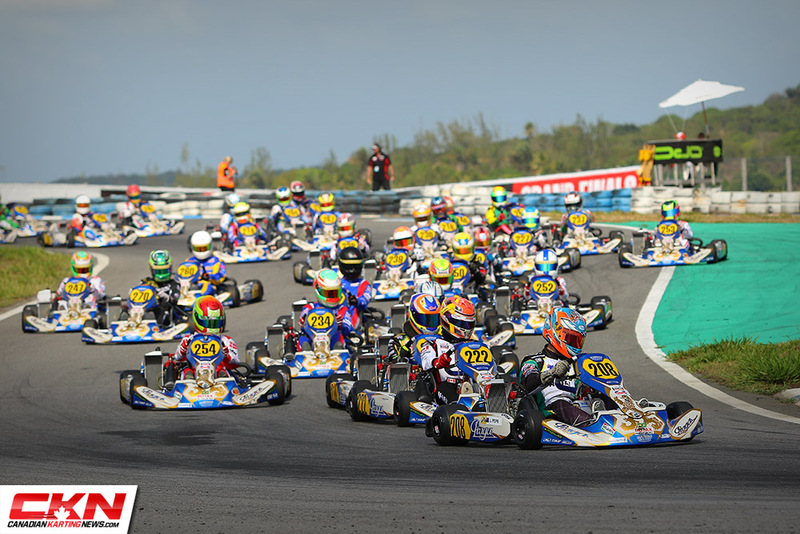 Opposite to the Juniors, the first group of drivers in Senior Max led the way, posting the nine best lap times in Qualifying. 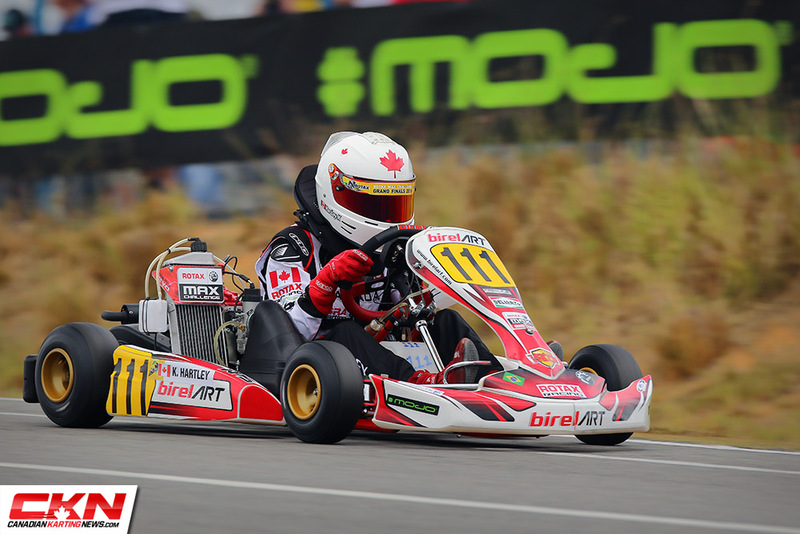 Bryce Choquer led the Canadian contingent in Senior Max Qualifying, but he won’t be pleased with his result. 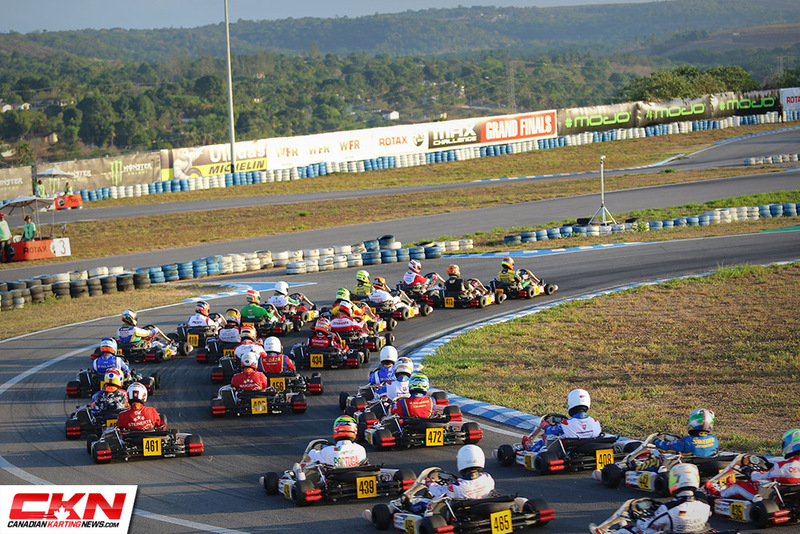 The track conditions suited group 2 much better in Junior Max, with the provisional leader from group 1 landing in 19th place overall. 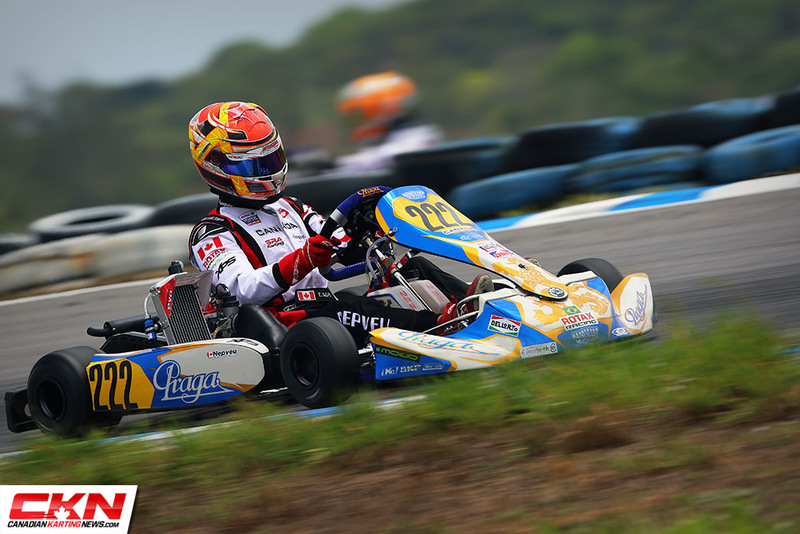 A great lap by Thomas Nepveu places him in P5 overall and in group A for the heat races. 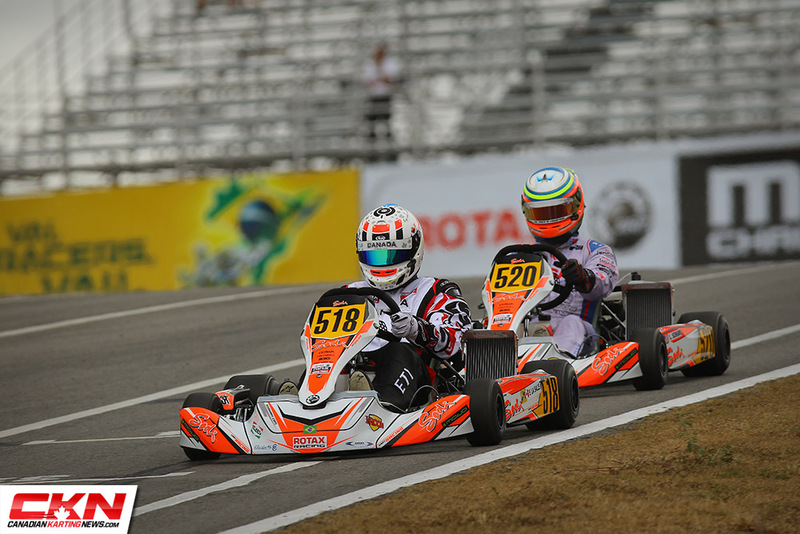 American Luca Mars was P3 in the first group, but slipped to 25th overall. 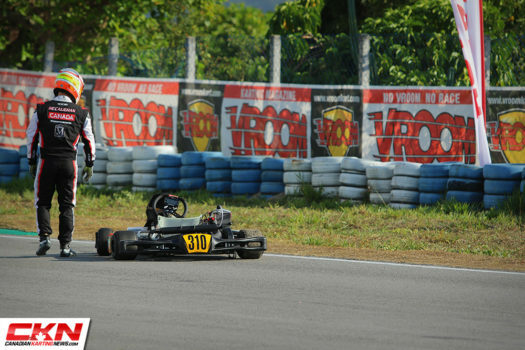 Jason Leung was one of many drivers who lost one or more of their fastest laps, as many penalties were accessed for exceeding track limits and/or not obeying the blend lines entering and exiting the track. 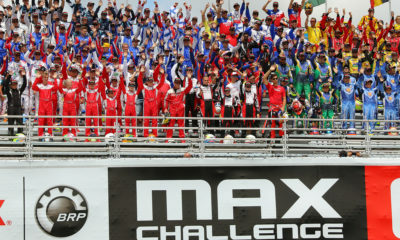 The drivers were warned, but many did not listen. P5 for Thomas Nepveu in Junior Max Qualifying!